Chicago Poker Club would like to share an upcoming event, benefiting a great cause. The Cystic Fibrosis Foundation’s Casino Chicago presented by Horseshoe Casino featuring the 7th Annual Texas Hold ‘Em Poker Tournament will be on Saturday, April 30th at The Windy City Fieldhouse. Blackjack, Craps, Roulette, Texas Hold ‘Em Poker and your chance to win a seat in the World Series of Poker in Las Vegas! The Grand Prize winner of the Texas Hold'em Tournament will be awarded an entry into the World Series of Poker (valued at $10,000), hotel and airfare for two courtesy of American Airlines! The evening, which will attract over 700 guests, features cocktails, heavy hors d’oeuvres and live entertainment, plus a live and silent auction you won’t want to pass up! The Cystic Fibrosis Foundation and the Casino Chicago committee are proud to welcome Annie Duke to this year's event. Full House ($5000) benefactors and above are also welcome to a VIP event with Annie Duke at 5:00 pm the night of the event. If you've missed any of the first three broadcasts of the Windy City Poker Championship finale (5 parts), you can always watch them on http://windycitypokerchampionship.com, or search for them on YouTube. Here I am. Bet you thought I forgot about you, didn't I? On a personal note, the last three months have been the busiest of my life. I'm working like a dog - two full-time ventures, in addition to hosting the Windy City Poker Championship. Most importantly, my wife and I had our fist child, a son, in late January. So, I've been absent from this site, the forums, and most of the talk around the world of poker. I've even had to really stretch t find time to play. Comcast SportsNet 9pm - featuring Richard Roeper, Bernard Lee, and Dennis Phillips. Available on DISH ch 429, Direct TV ch 665, Comcast ch 200 & 37, and AT&T ch 200 & 37. I will be playing at the feature table tonight and next Sunday (subject to NHL hockey schedule) and hosting the finale episodes the following two weekends. Tune in! Friday, May 8 - Chicago Poker Open! Please join us on Friday, May 8, 2009 at the Hard Rock Hotel in Chicago for the 4th Annual Chicago Poker Open. Click the logo above for more information. Prizes will include Amex Gift Cards, Buy-Ins to World Series of Poker Circuit Events, a Harrah's Entertainment Package, and a trip to an exotic and tropical locale! Sponsorship opportunities are available, so let me know if you're interested. As I sit here in my favorite coffee shop, less than a week before Tax Day, I lament that I have not updated the blog more often this year. More frustrating is the fact that I have not yet posted my annual favorite, the "Best Of's..."
The most important of these posts, in my mind, is the Best of Podcast version. 2008 saw its best Podcast product, with the rise of PokerRoad.com, a Joe Sebok joint (with Barry Greenstein in tow). Last Year's Best Of, Ante Up, got new digs and a new lease on life. Team 1040 lost their Rounders: The Poker Show as Mike and Adam moved to Two Plus Two, to produce a superior output. 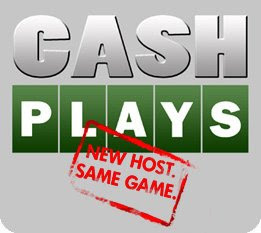 Cash Plays, hosted by Bart Hanson. Sadly, this show, in this format, is gone as of the time of this writing. This is a bit of a shame as the production of Poker Road, paired with the cash game perspective of Bart Hanson, in this format, made for the all-time greatest poker podcast. Bart has since moved his show over to Deuces Cracked in the form of Deuce Plays, with a similar format, but hasn't quite picked up the steam he had at Poker Road. Time will tell, but I suspect this will soon be the new best poker show on the internet. Bart's weekly show featured one-on-one discussions with successful cash players. Bart asked insightful questions and dug deep into the strategy, psychology, and meta game required for successful cash game play. His celebrated interview with Samoleus (Niman Kenkre) was one of my favorites. Recently, Jeremiah Smith has taken over the PokerRoad.com version of the show with a similar format. He is slowly gaining momentum, but the show is currently lacking that je nous se qua. Two Plus Two Pokercast, hosted by Mike Johnson and Adam Schwartz. This is a beast of a show, weighing in regularly at 2 hours plus, and offers something for everyone, if you can get through the full show. This Podcast generally takes me a few days, over many sessions, to get from start to finish, but they don't disappoint. Adam Schwartz is the resident poker professional, while Mike Johnson does play-by-play duties. In the early years, at Team 1040, I had difficulty with Johnson's cadence and audible breathing, but he has smoothed it out and makes a great co-host over at his new Two Plus Two home. The show regularly features top guests from the world of live and online poker, both cash and tournament players. The conversations are always topical, and mix the news, strategy, and personality quite nicely. They are well complemented by an active forum on TwoPlusTwo. Poker Road Radio, hosted commonly by Ali Nejad, Joe Sebok, and Gavin Smith, with occasional guest hosts including Scott Huff, Jimmy Fricke, and regular appearances by Court "The Hick"Harrington. This is the latest incarnation of a show started at CardPlayer called "The Circuit". When they're at their peak, and all in the studio, this is the most entertaining poker show in the internet. They don't spend much time discussing strategy, but rather focus on news and happenings from an insider's perspective. The show seems to have lost a little traction in early 2009, with travel and other obligations taking the hosts away from regular appearances, but Sebok and Huff have carried the torch and continued to pull together an entertaining show. Ante Up PokerCast brought to you by Ante Up Magazine, brainchild of Scott Long and Chris Cosenza. Our long-time friends at Ante Up, formerly a St Pete Times and TBT (Tampa Bay Times) production, picked up their personal items and headed off on their own to start Florida's only all-poker magazine. As one might expect of two guys leaving the security and cush of "paycheck jobs" in this economic environment, and heading off to start their own business, their attention waned in 2008. When they began making their plans, it seemed the poker show lost a little momentum. When they started under their on auwning, they also took some time to get rolling. The company relies on three media - print magazine, poker podcast, and their website/forums for attracting and entertaining their fans and customers. While we once shared an active forum at cardclubs.net, they have moved exclusively over to their own site, losing a bit of crossover traffic, but building their own loyal audience. Recent months have brought entertaining shows, new guests, and big name sponsorship. Chris and Scott continue to build on what made them great in the first place, promotions like the AIPS online tournament series, and a new listener event, a poker cruise. Time will tell what brings Scott and Chris in 2009, but we certainly wish them the very best. Fiercely entertaining, and now defunct, Big Poker Sundays, with Bob and Huff was a favorite of mine in early 2008. Haralabos Voulgaris and Scott Huff hosted a seriously un-serious show that predominantly poked fun at the goings on of the poker world. When "Haralabob" left the show, no one could quite fill his dry-witted and sarcasm soak shoes, and the folks at Poker Road decided to retire the show near it's peak. ... You have a purpose for me... Let... Me... Win..." we miss you. All Strategy with Justin Bonomo and Daniel Negreanu has the potential to be the best poker show on the Internet, if they continued to produce the show. I suspect its just too hard to get Bonomo and Negreanu in the room together, and away from the table, long enough to produce the show. The concept is a good one, and fills a gap in poker programming - let's hope they get back at it soon. Tuesdays with Ivey and The Bear Blog are great productions, also from PokerRoad.com, featuring Phil Ivey and Barry Greenstein, respectively. They are quick snippets, generally 10 minutes or less. Tuesdays features a weekly phone call from Greenstein to Ivey, trying to extract his latest thoughts, experiences, and prop betting adventures. This is one of Poker Road's most listened to shows. The Bear Blog is typically a quick stream of consciousness from Greenstein related to a single strategic topic. Both are worth the listen.